Israel’s Negev desert, a family of sand foxes lives inside a burrow under the ground. This night, for the first time, Lon-Lon’s parents are taking him out of the burrow. Lon-Lon runs off in excitement, gets lost, and discovers new animals. Some are friendly, some not. 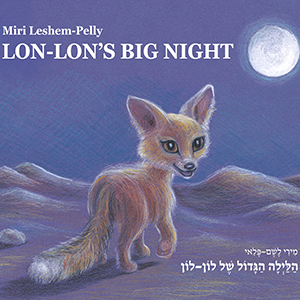 Children love the sand fox and the animals he meets– a jerboa, a hedgehog, a bat, an owl, and a hyrax – all unique Israeli desert species. The Mediterranean coastline of Israel offers long stretches of inviting beaches. 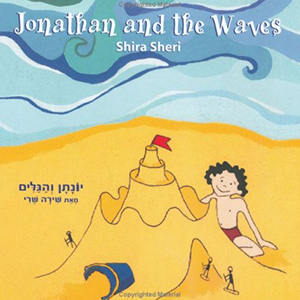 Jonathan loves going with his family to play in the sand, but when he wants to join his big sister in the water, he is afraid of the waves. Jonathan’s mother turns to Jewish spirituality for a reassuringly effective solution. Boris is a new immigrant to Israel. The children in his kindergarten talk to him, but Boris turns away. 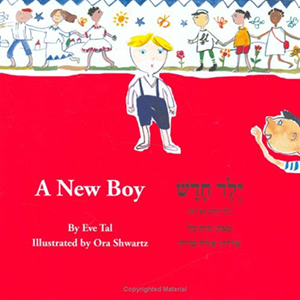 He doesn’t yet know Hebrew. The children try to play with him, but he plays only by himself. The children stop trying to be nice to Boris–until one boy’s father gets called up for army duty. Feeling sad himself, this boy begins to see Boris in a new light, and all is different when soon a new boy from Ethiopia joins the class.